As I have said multiple times before, I have two cats who fly and two cats who don’t. Now, I can officially count that as one cat who flies high, two cats who fly and one cat who prefers the luxurious feel of my bed beneath her rump. 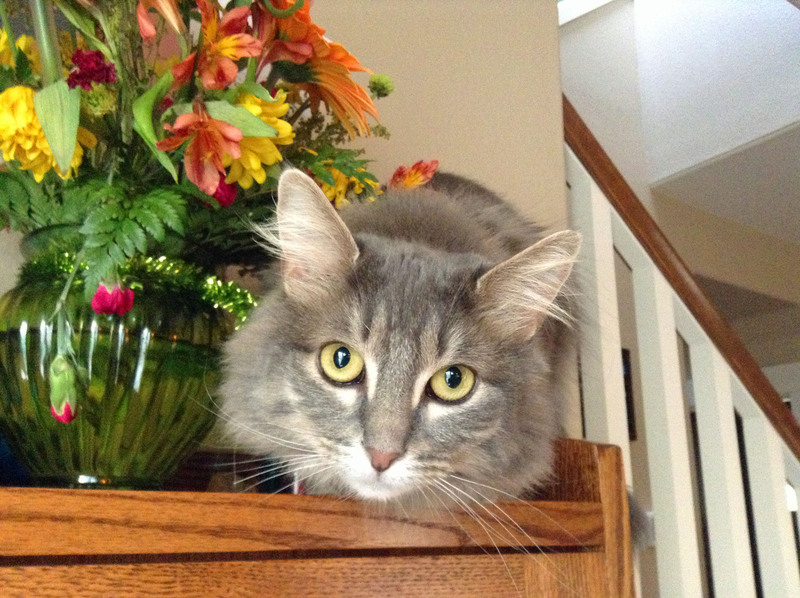 It would seem that Zoey, my dear, sweet late bloomer, has decided to find new (and heart-stopping) ways to tempt fate. 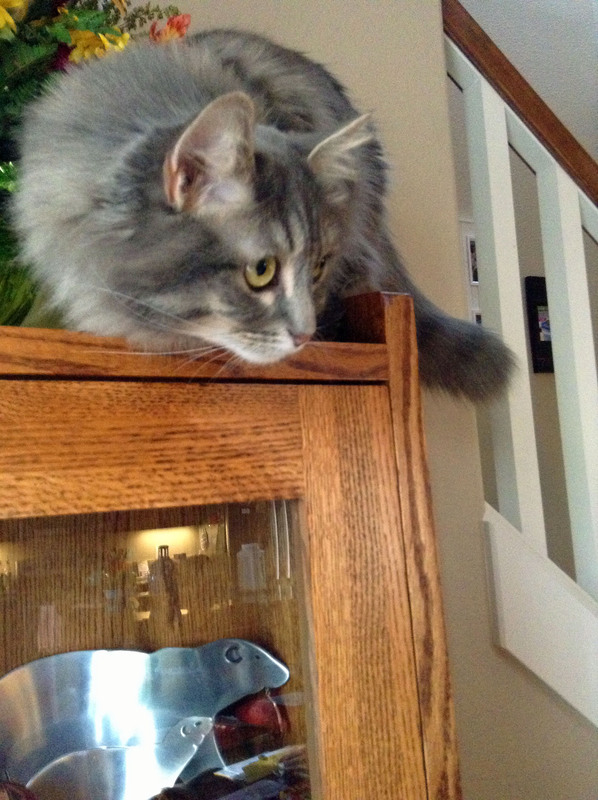 Most recently, she decided to explore the top of my China cabinet. 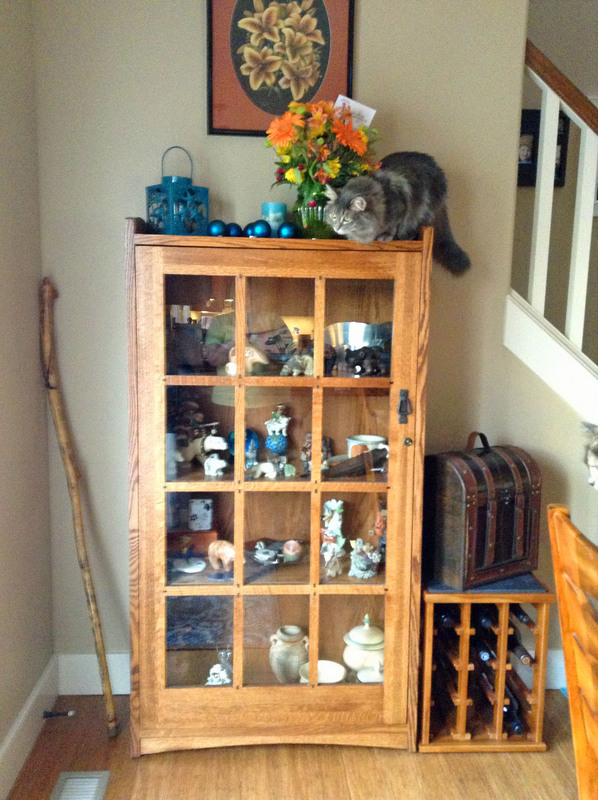 China cabinet! As in the place that holds my most precious and breakable items. 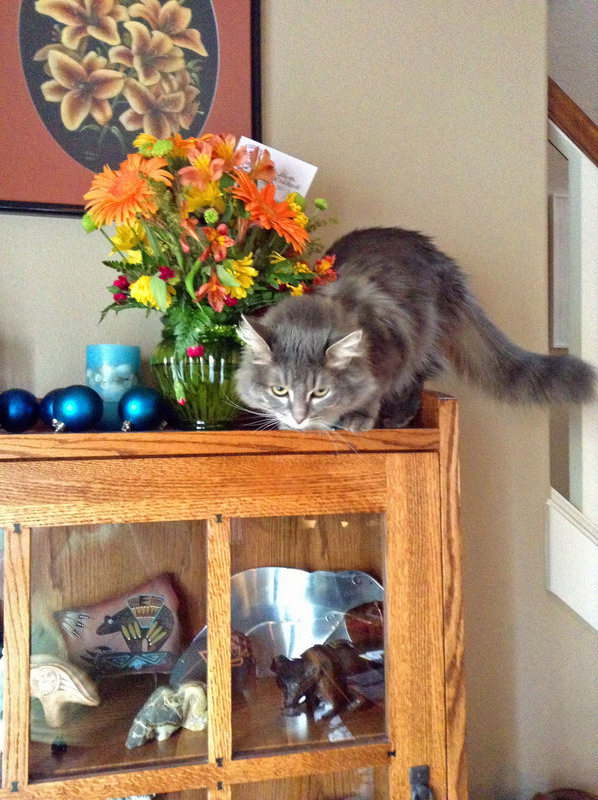 None of the other cats have ever tried to reach the top of this tempting little place. Yet, Zoey made the leap. I’m still trying to figure out how she got up there (and no, it wasn’t from the stairs — the opening between the railings isn’t wide enough for her to fit through). And, of course, in true Zoey style, she wasn’t disturbed at all by my indignation.